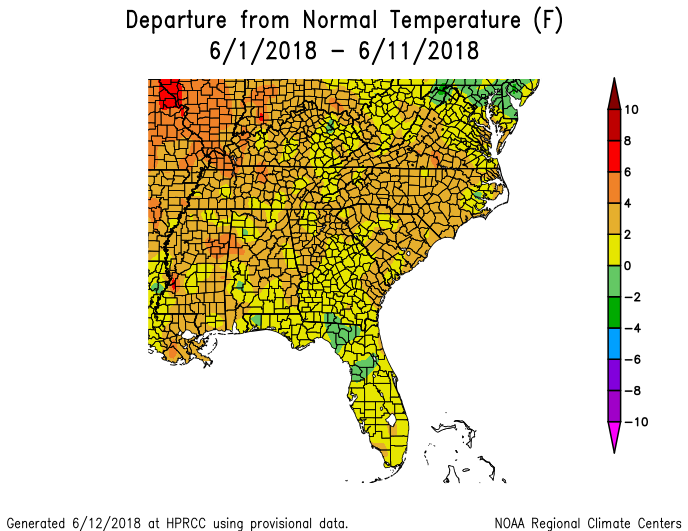 June so far has been warmer than normal across the Southeast, with many areas also experiencing drier than normal conditions. Producers in the drier areas are especially happy to see fields drying out, which is allowing them to get out and finish planting or applying much needed sprays to their crops. 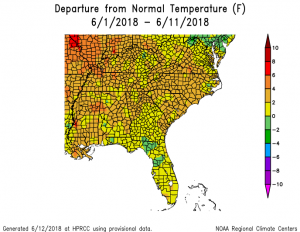 The above-normal temperatures are moving crop progress along nicely as well. However, rainier than normal conditions are still expected through the end of the month across the region. Since it is thunderstorm-type convective rainfall, it will be very hit-or-miss, with some areas getting doused with heavy rains while others get bypassed except for a few sprinkles. And of course, what you get is usually NOT what you need. 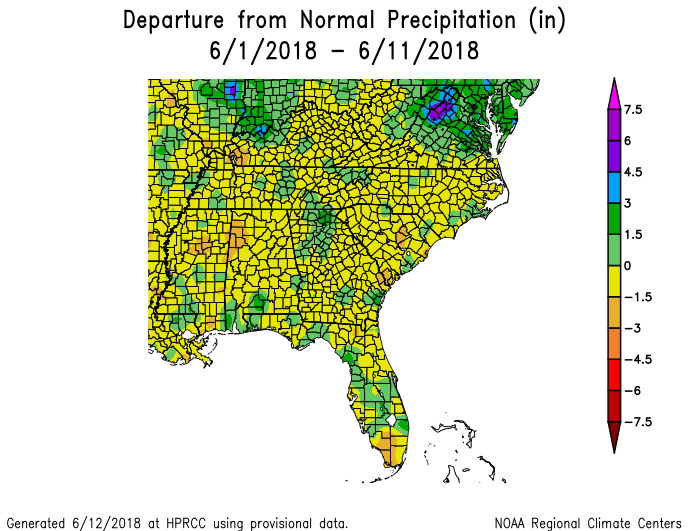 Previous: Georgia Climate Project: What species and ecosystems are most at risk? Next: What is a Moon Tree?